Developing mindfulness of the connections between mind and body is a form of intelligence just as important as IQ, EQ (emotional intelligence), or social intelligence. As awareness deepens, bodily sensations provide feedback and guidance about every aspect of your life—from nurturing relationships to enhancing effectiveness at work. By acting on this information you can reduce stress, balance your life, and maximize your innate potential for health, creativity, and spiritual growth. In this section you will explore timeless wisdom—from the world of ancient yoga to modern experiments in positive psychology, from the latest in neuroscience to simple exercises in breathing and stress management. By accessing my Prevention Magazine columns, Staying Centered, you can find even more practical tips for realizing inner peace in our busy world. And by periodically filling out the self-assessments of your physical and psychological state, you can follow your progress. Reducing your stress can mean the difference between feeling fully alive and functioning at your peak, versus feeling ill and functionally compromised. In this section, read the brief guides to help pinpoint symptoms and take the assessments to determine your stress level. Then practice the stress reduction techniques, and check back for re-assessment on your progress. This is an excellent way to keep track of how you’re feeling physically and emotionally. Take time for yourself to more fully understand the interaction of your mind, body, and spirit. In this section, learn how to meditate and understand that the time you take to recharge helps you to be authentically happy, and thus in turn will help you make others happy. The yoga exercises in this section were designed to relax tension as quickly and efficiently as possible. All the exercises are based on the same principle. We’ve included four yoga stretches in the Anytime Series, and seven stretches in the Full-Body Relaxer Series. The yoga stretches in this section were excerpted from the 20th anniversary edition of Minding the Body, Mending the Mind. The illustrations are by Neal Rohrer. In this three-minute segment from Inner Peace for Busy People, Dr. Borysenko illustrates how a change in our perception of a situation can change an anxious mood to a state of inner peace. 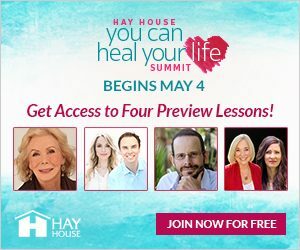 Sign up for Joan’s e-newsletter and receive news on upcoming events, special offers, and practical information & inspiration about the mind/body connection. © Copyright 2019 / JoanBorysenko.com / All Rights Reserved.